The UFC returns Saturday to Sao Paulo, Brazil. 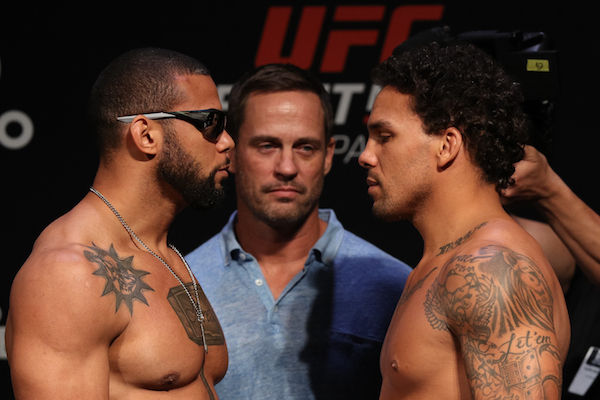 Fight Night Sao Paulo features 14 bouts headlined by the five-round light heavyweight showdown between Thiago Santos and Eryk Anders. Alex Oliveira and Carlo Pedersoli will handle the co-main duties. Five exclusive UFC FIGHT PASS prelims get the evening underway at 6:30pm ET before moving over to FS2 at 8:30pm ET for the four additional prelim fights. FS1 takes over at 10:30pm ET with a five-bout main card.